﻿ Can I Use SFP Transceiver in SFP+ slot? 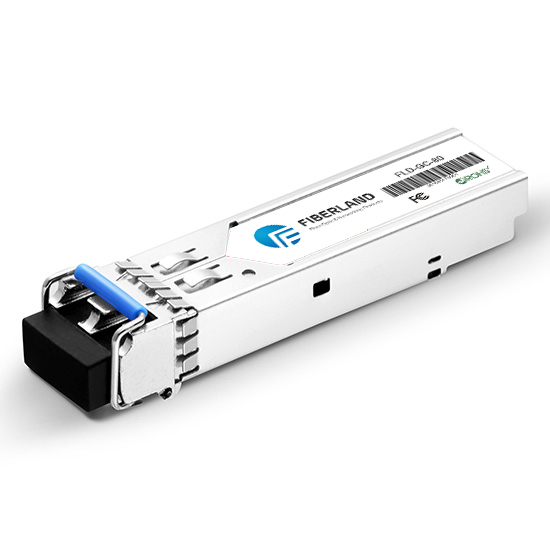 I’m not sure about the specific switch model, but as a general rule of thumb, SFPs will work in SFP+ slots, but SFP+ optics do not work in SFP slots. It’s just a power availability thing. When you plug the SFP module in SFP+ port, the speed of this port is 1G not the 10G. And sometimes this port will lock the speed at 1G until you reload the switch or do some fancy set of commands. Besides, the SFP+ port usually can never support speed under 1G. That is to say, we can’t plug the 100BASE SFP in the SFP+ port. In fact, for this question, it may depend greatly on the switch models – sometimes SFPs are supported in SFP+ ports, and sometimes not. For example, almost all SFP+ ports of Cisco switch can support SFPs and many SFP+ ports of Brocade switch only support SFP+. Though it’s feasible often, it’s safer to ask your switch vendor for some information. To my knowledge, unlike copper SFPs which are available in 10/100/1000 auto-negotiation, optics such as SFP and SFP+ do not support auto negotiation at all. In fact, Most (95+%) SFPs and SFP+s will only run at the rated speed, no more, no less. Besides, there is no such thing as a SFP+ that does 1G on one side (towards the fiber) and then does 10G on another side (towards the unit). Though we can use SFP in SFP+ ports in many cases, that doesn’t mean a SFP+ plugged into the SFP+ port can support 1G. In a fiber link, if we plug a SFP in the SFP+ port on one side (1G), and then plug a SFP+ in the SFP+ port on the another side (10G), this may not work! You just can’t have 10 GbE at one end and 1 GbE at the other. For this question, if you use SFP+ copper twinax cable, it also can’t negotiate down to 1G. When use SFP and SFP+ modules in your network, make sure the speed of both ends of the fiber link is the same. SFP modules may can be used in SFP+ ports, but a SFP can never be connected to a SFP+ module. For their different speeds, transmission distance and wavelength. 10 SFP+ only can use for 10G SFP+ port, and can never auto-negotiate to 1G.